1. The Synod of Bishops of the Russian True Orthodox Church maintains the position of the decision of the Russian Orthodox Church Outside of Russia in 1983 and pays special attention to its stated anathema to the heresy of ecumenism. The Synod considers the teaching of the Greek Synod in Resistance “Ecclesiological Position Paper for Orthodox Opposed to the Pan-Heresy of Ecumenism” (in short: the “sick Mother Church” is the New Calendarist Greek Orthodox Church and other churches like her in World Orthodoxy) to be a disguised form of ecumenism or crypto-ecumenism, hence falling under the anathema of 1983. 2. The Synod of Bishops of the Russian True Orthodox Church considers the decision the Council of Bishops of the Russian Orthodox Church Outside of June 28 / July 11, 1994 (Minutes №7) to join the communion, and the agreement with the ecclesiology of the Synod in Resistance erroneous, as was evidenced in the consecration of the Sobor of the Russian True Orthodox Church in 2008: “We deny the existing adverse opinions that heretics and schismatics are not cut off, and so-called ‘sick members of the Church’ …. 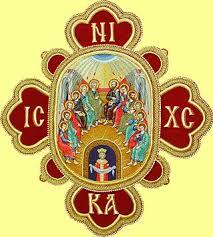 “ Obviously, the Council of Bishops of the ROCOR in 1994 made such a decision, since it does not have sufficient familiarity with this ecclesiology and because of the influence of some ecumenical minded ROCOR, who went later to unite with the Moscow Patriarchate in 2007. 3. The Synod of Bishops of the Russian True Orthodox Church maintains the position of the recognition of previous decisions of the Synod of Greece CPI chaired by Archbishop Auxentius and later Archbishop Chrysostomos, who did not recognize the canonicity of the Synod in Resistance and condemned its ecclesiolog, as heresy. 4. After reviewing the published documents drawn up in the preparation for the Association of Greek Synod, the Synod of Bishops of the Russian True Orthodox Church does not find in them any mention of repentance for Synod in Resistance, nor the correction of them on their former ecclesiology, nor the requirement of the Synod of the Greek TOC from this Synod in Resistance for repentance or corrections. To resolve disputes requires cancellation of previous decisions of the Synod of Greece TOC, or the repentance of the Synod in Resistance. Such silence on the question of heretical teaching says that the reasons for this association were far from the Holy Fathers doctrine of the unity in the truth. We must be guided by the doctrine of the Lord: “But let your communication be, yes, yes, no, no; anything more than this comes from the Evil One” (Matt. 5: 33-37). 5. Taking into account the absence of any statements on the revision of the TOC Synod of Greece in its earlier decisions, or the repentance of the Synod in Resistance, despite the numerous other Orthodox-sounding decisions in their joint document, the Synod of the Russian True Orthodox Church considers the union of these Synods as an unfortunate event in the history of the Greek Church. 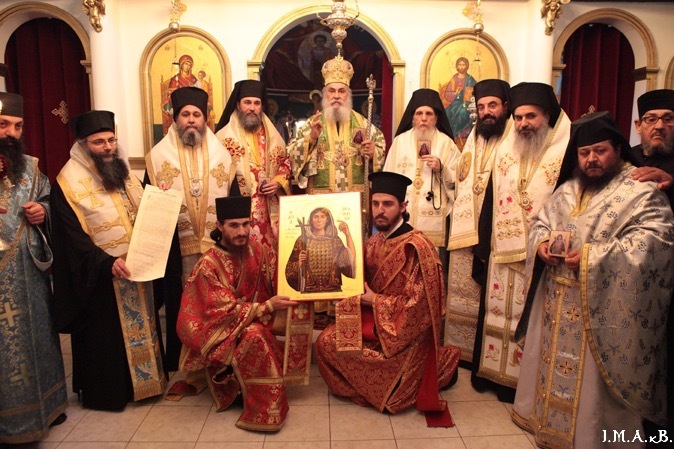 False doctrine and split by the Synod in Resistance, caused serious damage to the Greek Church, and not less harm Russian Church as contributing to the union of ROCOR with the Moscow Patriarchate and the subsequent schism Bishop Agafangel. 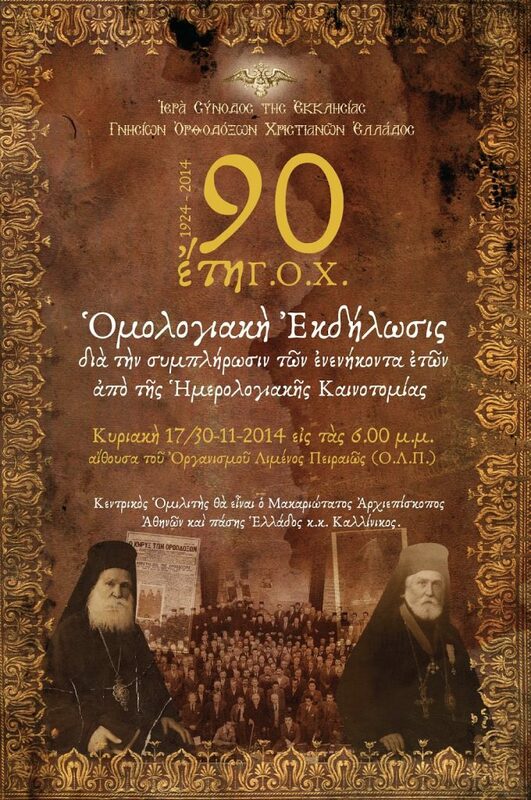 With great regret the Synod of Bishops of the Russian True Orthodox Church claims that the union of the Synod of the True Orthodox Church of Greece and the Greek Synod in Resistance does not give cause for celebration, but rather, it is a sad historical event – the fall of the TOC of Greece into union with schismatics and crypto-ecumenists . 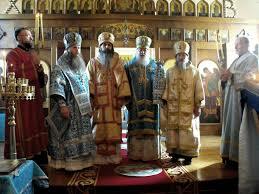 False doctrine and schism can not be left to the True Orthodox Christians to ignore or to be disregarded. On the contrary, to correct false doctrine should have a place of its realization, research and repentance.